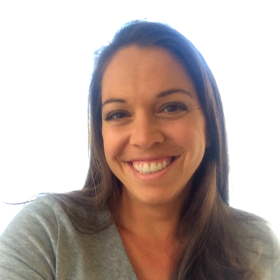 If you’d like more tips, tricks, and inspiration on parenting and raising happy kids, subscribe to my Parenting Mailing List for notification when new posts are published. I hope you enjoy everything you read! Thanks for your time! First 100 Christmas Words just came out this year and I was on the waiting list the second they released it! Both of my kids are obsessed with the whole First 100 Words series, so there’s no doubt this will be an amazing addition. And it’s a GREAT way to learn new words. The Little Blue Truck has been a staple in my house for 5 years, so it’s no surprise that Little Blue Truck Christmas is also a huge hit! If your toddler loves vehicles, this is a great Christmas book idea for them. And of course, if they love Little Blue Truck, then Little Blue Truck Christmas is a no brainer. Dear Santa comes from the same makers of Dear Zoo, which is a huge hit for toddlers and a really cute toddler book. Dear Santa has the same lift-the-flap fun that Dear Zoo has, but with a Christmas twist! This is definitely another great Christmas book for toddlers. The Babies Love series are amazing lift-the-flap books for toddlers and Babies Love Christmas is their Christmas version! The quality of the flaps in these books makes them much more durable than your average lift-the-flap book, so you should definitely consider this Christmas book for your toddler’s collection. I don’t know what it is about Daniel Tiger, but he manages to become a quick favorite of almost all toddlers. And luckily, he’s got his own Christmas book – Merry Christmas, Daniel Tiger. Daniel Tiger is known for teaching toddlers and young kids about feelings, social skills, and basic life lessons, so of all the TV characters out there, he’s one of the best. 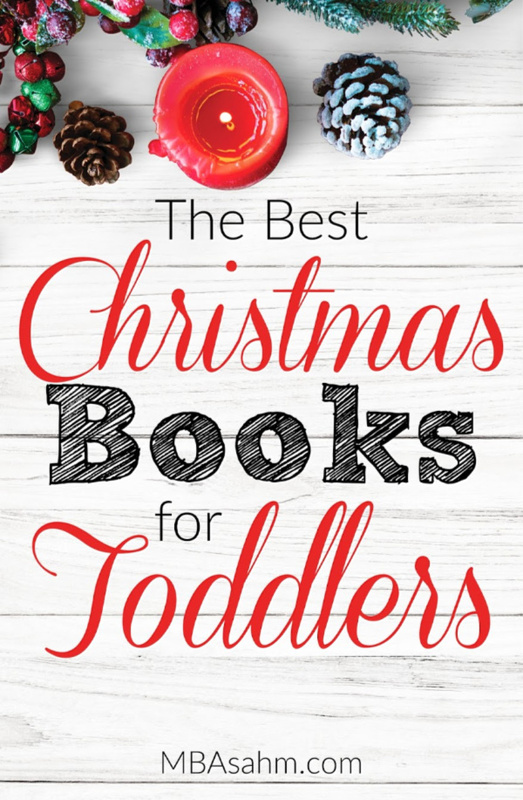 So don’t feel bad about opting for a non-classic Christmas toddler book! Goodnight, Goodnight Construction Site is a classic toddler books that they’ll be able to take with them well into their preschool years, and Construction Site on Christmas Night is the Christmas spinoff! These books have great pictures, are perfect for toddlers that have an interest in vehicles, and will be one of those Christmas books you read every season for many, many years to come. The Itsy Bitsy Reindeer is an adorable Christmas board book for toddlers that…as I’m sure you guessed…is a sing-a-long Christmas version of the Itsy Bitsy Spider. It’s durable and toddlers love the singing, so they’ll actually sit through the whole story. This is definitely a cute Christmas book for toddlers! Christmas in the Manger is a toddler board book that tells the story of the first Christmas, all with easy to understand rhymes. This is a great way to introduce toddlers to the nativity story and another Christmas book that you will likely be reading for years. 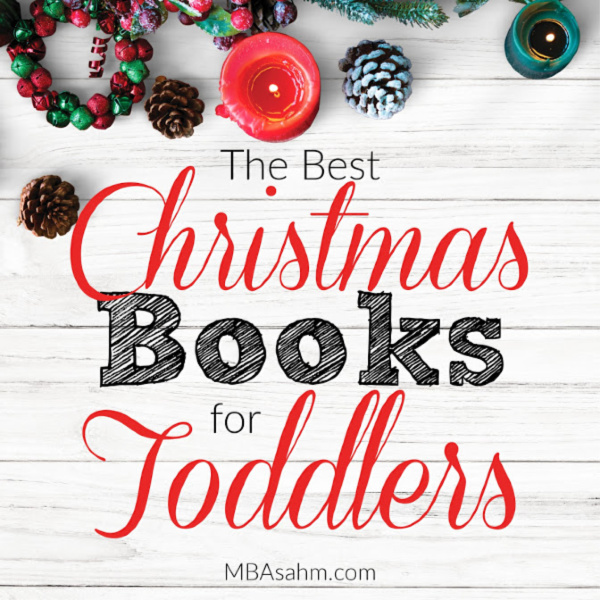 I hope you enjoy these Christmas books for toddlers as much as my family has! Good luck with your shopping this year and have a merry Christmas!